Mozzarella: Mozzarella is developed from the cultured and fermented solids that result from the first step in the cheese making process: the separation of the curd (clumps of solidified milk protein also known as farmer’s cheese) from warm liquid whey using an acidifier such as rennet, citric acid or yogurt. 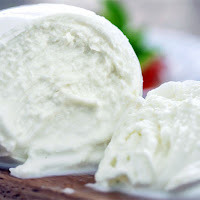 Mozzarella di Bufala: Made with rich Italian buffalo milk from Campania instead of domestic cow’s milk, mozzarella di bufala has twice the fat content as its conventional counterpart and packs in twice the flavor. 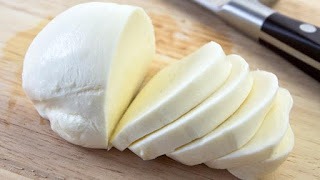 About twice as expensive as regular mozzarella, bufala’s sweeter, milkier nuances and fluffy, buttery texture are widely prized and famously used alongside important Italian San Marzano tomatoes and fresh basil for authentic pizza Napoletana and heirloom caprese salads, and serve as a natural pairing for ripe fruit. Mozzarella made in this style but from the freshest, highest-quality cow’s milk is known as fior di latte. Both should be consumed as soon as possible after making. cream and boasting a butterfat percentage that will at once thrill and intimidate you. With a name like burrata — literally translated as “buttered” — you’ll need at least one partner to finish a standard eight- to ten-ounce portion. Break the outer shell and watch the creamy center creep out, then scoop up with a piece of crusty Italian bread and drizzle with olive oil (just forget the fat content at this point) or let the goodness cascade over ripe tomatoes, roasted beets, stone fruit or grilled squash. Serving sweet potatoes during the holidays? 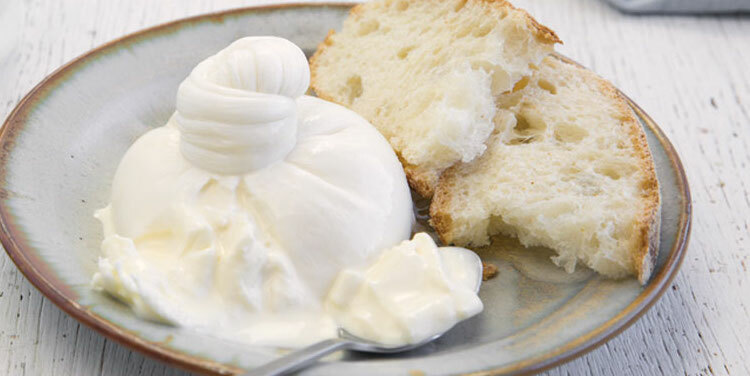 Turn your back on marshmallows forever and usher in a glorious era of burrata. Once broken open, burrata doesn’t stay fresh, so make sure you finish it all. Good news: You won’t have any trouble there. Caciotta: Describes a wide range of simple, rural cheeses from central Italy that can be made with either ewe's, cow's, goat's, or buffalo's milk. The cheese is aged for a brief period.Beneath the soft, yellow rind is a white or yellowish body which has a soft texture and mild flavour. 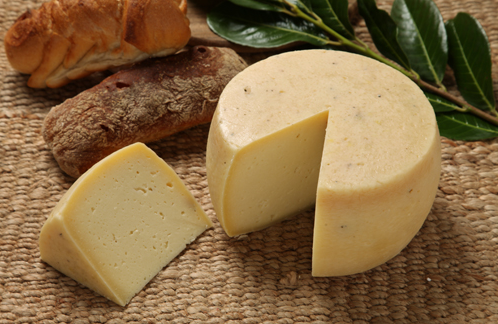 Both artisanal and industrial produces of Caciotta are available. 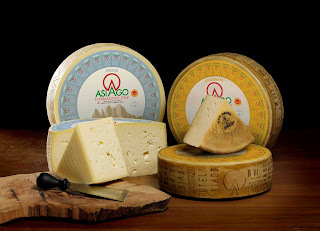 Asiago: Is a cow's milk cheese, produced only on the Asiago plateau in the Veneto foothills in Italy. The cheese-making tradition in the provinces of Vicenza and Trento dates back to more than thousand years. Traditionally, it was made from sheep's milk but today it is produced from unpasteurised cow's milk. 1. Grana Padano is made over a much larger area – partly because of this the price tends to be lower. About 4,800,000 wheels of Grana Padano are produced each year (compared to about 3,400,000 wheels of Parmigiano-Reggiano), making this Italy’s most produced cheese. 2. The cows are grazing on different pastures, different soil. This translates into the cheeses to produce slightly different tastes. 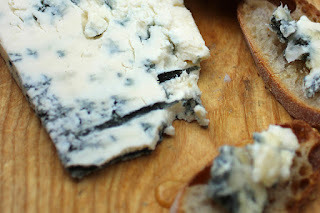 The flavor also changes according to the age of the cheese and the time of year in which the cheese is made. 3. Parmigiano-Reggiano cows must only feed off grass and cereals grown in the area – they are not given silage (a fermented, high-moisture fodder). 4. The cows providing the milk for Parmigiano Reggiano must be milked twice a day – once in the morning and once in the evening – and the milk is not allowed to reach a temperature less than 18°C. The milk for Parmigiano-Reggiano must be delivered to the dairy within two hours of the completion of milking. Ensuring that the temperature of the milk does not fall below 18°C is important for the mesophilic lactic bacteria which is responsible for the ripening of the cheese. The cows providing milk for Grana Padano production are also milked twice a day, but the milk only needs to arrive at the cheesery 24 hours after milking and therefore it has to be cooled (although not below 8°C). 5. Preservatives are not allowed in the production of Parmigiano-Reggiano, whereas in the production of Grana Padano they are allowed – the preservative usually used is lysozyme. 6. Grana Padano (made entirely from partially skimmed milk) has a lower fat content than Parmigiano-Reggiano (made from a mix of whole and skimmed milk). c) 20-24 months – the cheese now has a rich buttery flavour and crystals are also there. Parmigiano Reggiano on the other hand takes a minimum of 12 months to mature, and the older varieties take up to 36 months. Any cheese older than two years is known as ‘Stravecchio’. This is another reason why Parmigiano Reggiano is more expensive than Grana Padano. It also results in cash flow problems for the 350 or so Parmigiano Reggiano producers, so sometimes they leave their cheese with their bankers as collateral – the banks have special vaults for storing the cheese. 8. Obviously there are flavor variations within the individual types of cheese so comparing them directly is not straightforward. The fresh and rainy climate of the high-altitude pastures produces a softer, cleaner flavored cheese than that produced in the valleys. But overall the consensus seems to be that Parmigiano Reggiano has a stronger, more complex, perhaps nuttier and saltier taste – while Grana Padano has a softer, subtler taste. For this reason Grana Padano is more usually used in cooking, while Parmesan is more often grated on top of a dish…. and eaten in chunks with prosecco.